Callahan mixes an upbeat Irish sound with a tough guy vibe. Thanks to Amanda for suggesting our Baby Name of the Day. Back in the tenth century, Ceallachán reigned as King of Munster. It might trace back to the word ceall – church. Or, it could come from a phrase meaning bright-headed: cen (head) plus lach (light). The word ceallach could also mean strife. Regardless of the origins, it has become a common Irish surname, with bearers often tracing their roots back to the medieval king. Sometime in the 1100s, one of Ceallachán’s descendants, also King of Munster, commissioned a biography of his ancestor and the king’s battles against Viking invaders. Only the tract was designed to be twelfth century propaganda, not a true historical account. The name is sometimes spelled Callaghan. Whisper it down the alley a different way, and it becomes the equally Irish Kelly. In recent decades, this name conjures up not a king, but a fictional character: Inspector Harold Callahan, better known as tough guy extraordinaire, headliner of the Dirty Harry franchise. Clint Eastwood played the unforgettable San Francisco police detective, remembered for uttering the famous line “Go ahead, make my day.” The first Dirty Harry movie came out in 1971; the fifth in 1988. Even if you’ve never seen any of the movies, chances are you recognize the character’s name. But maybe not the character’s last name, and so Callahan picks up a trace of tough guy – but only a trace. Then again, the name was first given to five boys in 1983, the same year that Eastwood made the fourth film in the series, Sudden Impact. It’s actually the first film where Harry utters the “make my day” line. It’s Nancy’s last name in the Sin City graphic novels and movie. Soap opera veteran John Callahan has appeared on at least four daytime soap operas, with more than one starring role. Stephen King gave the name to a priest turned vampire hunter, a character debuting in Salem’s Lot and appearing in four other novels to date. My favorite piece of trivia: Chicago’s Americus Callahan invented windowed envelopes and earned a patent in 1902. Add in a bunch of athletes and politicians, plus place names aplenty, and it makes Callahan a solidly familiar choice. 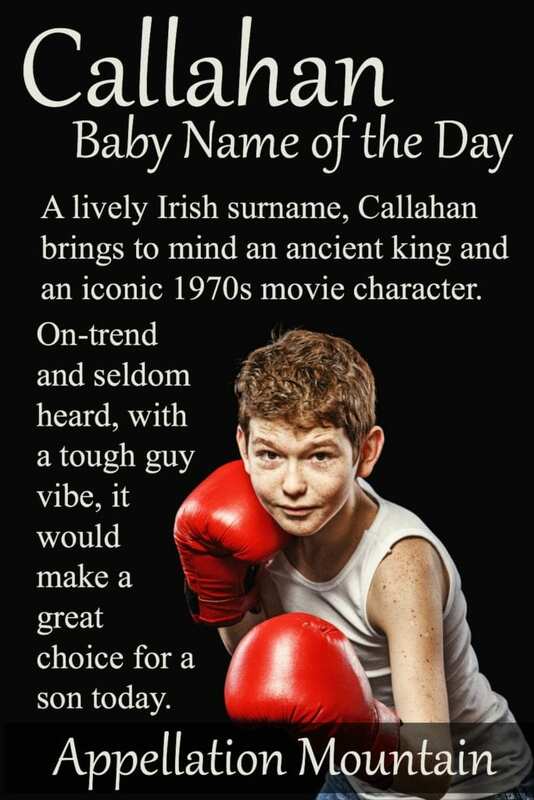 Callahan shares obvious nickname Cal with many a name: Calvin, as in Baltimore Orioes legend Cal Ripken; Irish appellation Callum; as well as a range of surnames, like Calhoun, Calder, and Calvert. While the name has never cracked the US Top 1000, it’s rising. Three dozen boys received the name in 2000, a number that was unchanged for much of the following decade. But by 2015, the number increased to 83 newborn boys – plus 26 girls. If you’re looking for an Irish heritage choice less expected than Liam or Finn, this name might be for you. What do you think of Callahan? Do you find it friendly and accessible, tough as nails – or both? This post was originally published on April 21, 2011. It was substantially revised and reposted on August 8, 2016. I am a male. My godfather’s last name was Callahan and my father named me after him. It’s not a family name for me but I do have deep Irish roots. My Irish grandmother spells it “Callaghan”. Either way, my name was given to me, not chosen by me. I think it would be utterly ridiculous to be judged by it. Don’t be that type of person. This is one of those names where I think family history is make-it-or-break-it. 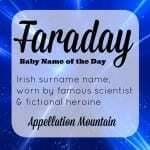 If it is a legitimate family name, it is upbeat, interesting, and usable for a girl or boy. If not, it’s just trying too hard. I like Callahan, if you have the requisite heritage to pull it off it’s an interesting choice. I understand the desire to turn it into a girl’s name, but because of Dirty Harry and Chris O’Donnell’s character (G. Callen) on NCIS, it feels like an action adventure hero to me. As Tommy Boy fans, Callahan is a definite no for our family, as that is Tommy’s last name and the name of the family business in the movie. All I can think of are crazy movie quotes and the name just makes me want to giggle. My apologies to any of you who love it or have used it! I know a Callahan, a 20 year old woman who goes by Callie. I don’t know if it’s a family name for her but I assumed it was. It works well on a boy or girl. I know of a girl named Callaghan (her mother’s maiden name). I don’t know if they call her by the full name or a nickname. Interesting. I was just about to post that I see Callahan as having real potential for mainstream America for a boy, OR a girl. In addition to Cal, you get Callie out of it, kind of an Emerson nn Emmie deal. Callahan’s not for me, but he’s not all bad, either. I mean, surnames are used as first names (or middles) all the time. Calllahan’s no better or worse than any other. And if Callahan hangs on a branch of your family tree, I say “fair game”. 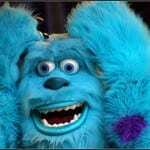 Cal is very appealing as a nickname with is homey, comfortable feel. All in all, Callahan’s not a bad choice. Just leave me Calvin (it may be the name of the next cat)! I always thought it was spelt Callaghan? Or is that a different name all together? Is Calihan just a “creative” spelling of Callahan? I have never before been a fan of alternative spellings but I recently saw Calihan and I really like it, possibly more than Callahan as it somehow feels less like a surname.